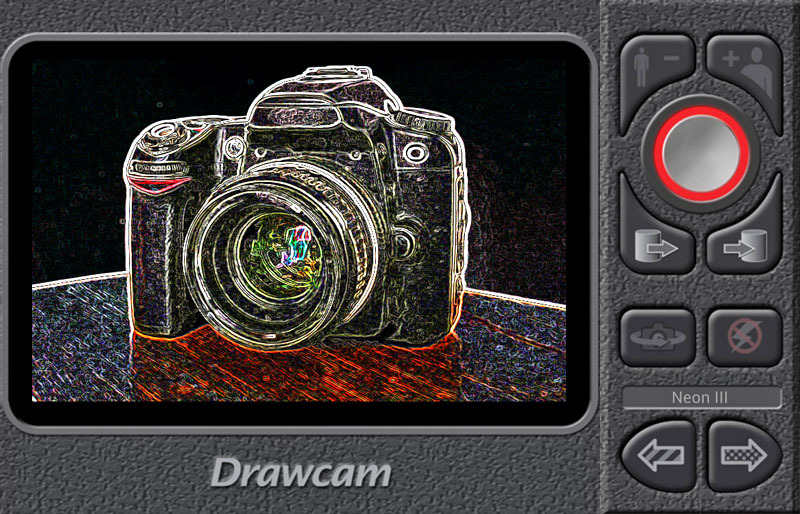 Drawcam is an app that allows live modification of pictures coming from the device's camera - there are a wide range of filters, with a concentration on draw/art -type effects. 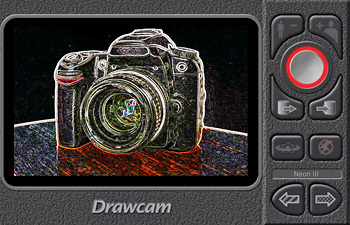 The filters themselves can be adjusted interactively in real time - there is no waiting. The range of adjustments is wide, and unusual and unexpected effects can often be found by using values well away from the defaults. As well as working with the live feed from the camera, Drawcam can also be used on any images on your device. 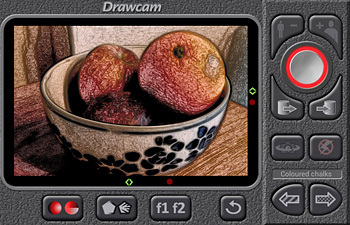 For further information, check out the 10 sec tutorial and the Reference Guide. 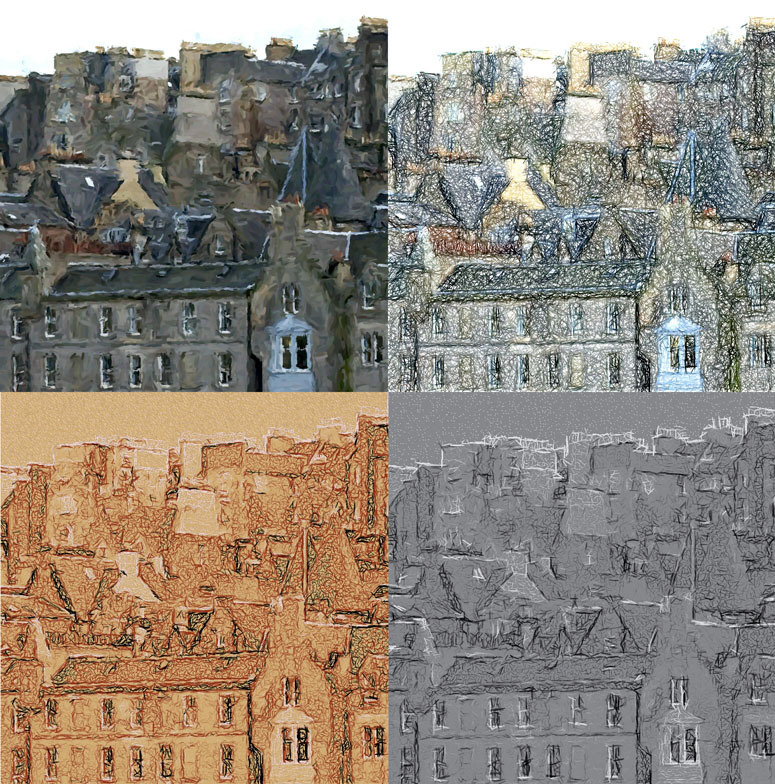 Some examples to show the range of filters available with Drawcam.